One very blustery, miserable day recently Isabella and I turned our hands to a spot of baking. The problem was I couldn't decide what to bake, so headed to our village shop for inspiration. We came away with a bag of lemons, reduced overripe bananas, carton of eggs and caster sugar. This eventually led to us taking a simple muffin mix and creating two different flavours of muffin. Both are classics, there's certainly nothing ground breaking here, but it's a fun activity to do with children and a great way to experiment. I originally wanted to do raspberry and white chocolate muffins, but our local shop didn't have any raspberries so I went with the reduced fruit section instead. The ripe bananas led me initially to banana muffins, something Isabella can enjoy as a real treat, but the jar of peanut butter next to the oil meant that got thrown in too. When it comes to the lemon drizzle, that was purely because it's my husband's favourite cake flavour. 1) Preheat the oven to 190'C. Line a muffin tray with paper cases. Place the eggs in a large mixing bowl and whisk until light and fluffy. 2) Add in the oil and milk into the eggs, combine. Pour in the caster sugar and whisk until smooth. 3) Fold in the flour and then split the mixture into as many different flavours as you want to create. The options are endless! I added mashed banana and peanut butter to one half of the mixture, with an extra swirl of peanut butter on top. Then the zest of a lemon into the other half. 4) Spoon the mixtures into the paper cases and baked for 20-25 minutes, or until cooked through and golden. 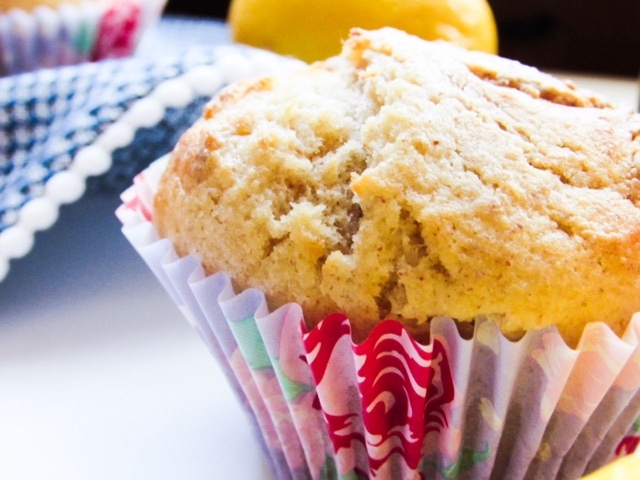 While they're baking combine the juice from one lemon with the granulated sugar and set aside. 5) As soon as the lemon drizzle muffins are out of the oven spike them with a cocktail stick several times and pour over the lemon/sugar mixture. Leave to cool. 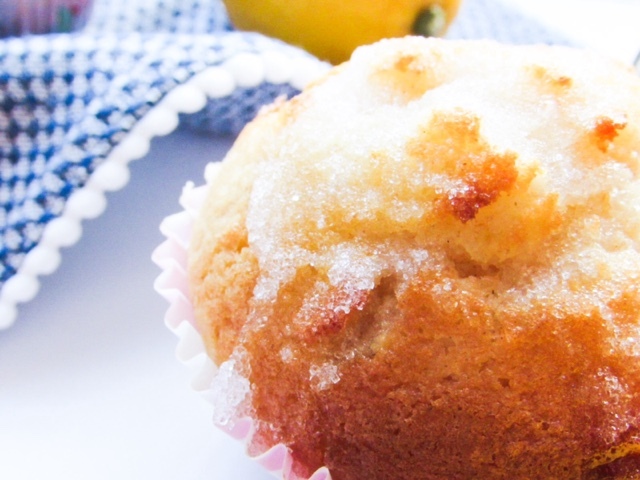 What would your favourite muffin flavours be? Going to give this a go at the weekend. I love all muffin related food!! Oh wow these look so good! I'm a sucker for lemon drizzle too and my son loves banana and peanut butter so perfect for us too! Lemon drizzle is my daughter's favourite too. I'm going to try these. Thanks for sharing. 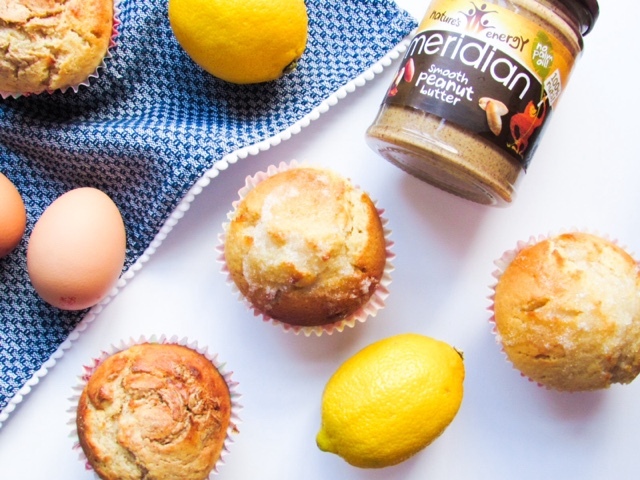 Oh yum i love lemon drizzle and this combination with peanut butter sounds amazing. These sound delicious. 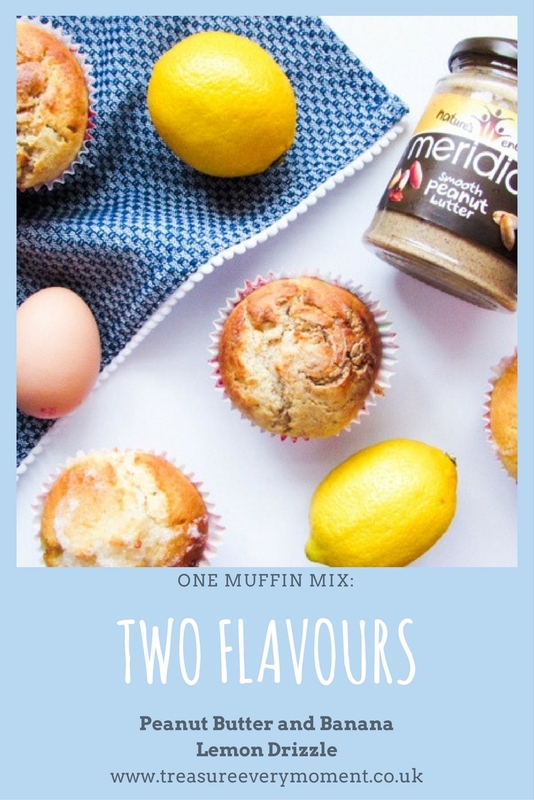 I love all the ingredients in these muffins but would never have thought to try them all together. I like the sound of this. Definitely going to try it over the mid term break. My favourite ones are lemon with poppy seeds.